The skill has the potential to engage employees at all levels, especially, the millennial Leadership Guru Warren Bennis, decades ago, outlined certain key competencies which made for an effective leader. These include managing four key aspects: meaning, attention, trust and self. Increasingly leaders in all walks of life, be it corporations or outside, find it challenging to build, sustain and demonstrate these competencies. This is precisely where leaders have an important competency to pick up and master. Simply stated: it is the storytelling competence. Great leaders are known for being great story tellers. McKee adds : “… if you can harness imagination and the principles of a well – told story, then you get people rising to their feet amid thunderous applause instead of yawning and ignoring you.” Storytelling, when handled well, has significant potential to engage employees at all levels. Especially in dealing with a workforce from the current generation that have a fleeting attention span. Fortunately, it is a skill that leaders can learn, with effort. Leaders will do well to recognise the power of storytelling and sign up for a few lessons. Learning and Development divisions within organisations too should promote and teach this competency for leaders at all levels. Whether you are a first line team lead or a division head or a CEO, storytelling can help you get your point of view across with your team a lot better. Stories have enormous recall value and stories stick much longer. reiteration of a story by Herb Kelleher, one of the founders and former CEO of Southwest Airlines in the US. His story to the investors and employees went a long way in communicating the vision and strategy of Southwest Airlines that no amount of strategy sessions or presentations could have explained. It runs somewhat like this. He would say, “It is funny that I get letters all the time from shareholders, and they are often angry letters. They say, America West is flying between Los Angeles and Las Vegas for $149 one way and you, Herb Kelleher, at Southwest are pricing the same one way tick et at $79. Don’t you have the decency to at least kick up your price to $129? another company. The important thing is to relate the experience to the company’s current challenges. Story – tellers must bring their personal credibility to the process so that stories carry the necessary weight. The drama challenges the participants to reflect on whether they want, and will be able to, make similar tough choices that are required of leaders of today’s complex organisational setup. C. Mahalingam is a leading HR Thought Leader in India. He was Executive Vice-President & Chief People Officer with Symphony Services Corporation and served in organisations like IBM, HP, Phillips, Scandent Technologies etc. 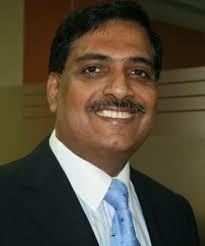 He is now a Leadership Coach, HR Strategic Consultant and visiting faculty at some of IIM’s. How far can you really go into the forest?